I love him, but ….. I know what I am getting for Valentine's Day. Ten years ago when we moved into this condo he went to the dollar store and bought a heart shaped balloon and plastic roses. He gave them to me that year and every year since. Unfortunately the balloon still has not gone down. So I know he'll dust it off again. The sentence is too long and confused and she shuts off. But he doesn’t get machines. We were driving with the GPS in the car when we first came to Phoenix. It said “Take a left on Bell.” He wanted Greenway so he turned left on Greenway. GPS doesn’t like this. Recalculating. Turn right on 39th Street. You can see what I put up with! But there is more that makes me think he’s from a different planet. He always is the first reader of my new books. He read the upcoming Georgie book and I’ve written, “To quote Jane Bennett ‘how shall I bear such happiness?’ and he said WHO IS JANE BENNETT? But my husband, alas, has been oblivious to this. And the other day I was watching the Princess Bride and he told me he had never seen it and thought it silly. Inconceivable. Again grounds for divorce. He does have other quirks that make me think he has not actually joined the twenty-first century. I needed cellophane to gift wrap a basket for an auction. “You don’t need to go out,” he said. “We have some.” And he produced… drop roll please…. Glad wrap. On another occasion (and I think I’ve shared this one) I told him I would be going to some cold places on my book tour and needed to buy some tights. “You can borrow mine,” he said. “You wear tights?” I asked, slightly surprised because I hadn’t noticed any signs of cross-dressing. 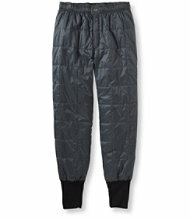 “Of course.” He went to his closet and appeared with… another drum roll…a pair of men’s long johns. The fleecy kind. I think actually that his brain was frozen right after World War II, either that or he really is from another planet. Or do all men think differently? Other examples please! Oh, dear . . . so funny, Rhys, but I’m sure your dear hubby is a treasure. Joan, I had my 26th birthday less than a month after getting married. I awaited with much anticipation my first-ever present from my husband. Would it be jewelry? Crystal? An expensive evening out? Imagine my surprise when he came home with a pot mitt shaped like a lobster claw. Oh, that is too funny, Julia . . . and just the sort of thing that John would do, too. Joan, can I say deep fat fryer? Laughing out loud at tights! My husband is an electronic engineer and an honest to God rocket scientist yet he cannot operate the vacuum. Him, "I can't figure this thing out." Me stepping on the foot pedal and snarking "It's so easy even a woman can do it!" I think that is an accurate statement, Elisabeth. It does drive me crazy though. So funny! Hugh can operate sixteen TV remotes and navigate all those menus (I, on the other hand, cannot watch a movie unless he's in the house). When it comes to the computer (single digit typing) he throws his hands in the air and claims incompetence. And let's not even talk about not being able to find things that are in plain view. Cracking up! I operate the remote controls in our house but my husband is the one who has to find them first. He's finally become more or less proficient with his iPhone, totally because of the videos our daughter texts of the grandkids. But it was a steep learning curve. And Alexa knows better than to show up here. I refuse to talk to a computer. Hilarious! Jonathan is brilliant at remotes— you can operate televisions we’ve never met before! It is astonishing. He is totally baffled by Facebook, though, but perhaps that is a good thing. Forget Twitter, too.. and any current music. . but hey, how much popular culture do you need? I have to say, he has hilarious conversations with Alexa. I forgot Johns Facebook story! He said once that he thought he should be on Facebook. Okay, I said and set him up. A few days later he came to me angrily.... Some man wants to be my friend! I told him that was the point. I don't want any friends, he said. Oh, John. What a card. Thank you, Rhys, for the laughs! I'm stuck at home, fighting off a bug, and your post today is good medicine! Rhys, that's priceless. Obviously, we need "The Facebook" for misanthropes. Rhys, The tights story is too much! We emerged from a U Cincinnati parking garage after dark into a maze of construction and one way streets. My physicist husband finally (finally!) agreed that we could consult google maps on my phone and we were on the interstate less than 10 minutes later. So now we use it on desperate occasions when paper maps and RandMcNally printed directions don't do the trick. I love my husband but am amazed at the stuff the doesn't notice, like the fact that the front and back doorbell make different noises. After 8 years I had to explain it to him when I was locked out, rang the doorbell, and he opened the other door. Yup, men really are from another planet! Mine notices nothing, Cathy. Asks about my new haircut three weeks later. I told him I'm annoyed I didn't have a lover for years because he would never have noticed a second head on the pillows! Rhys, Steve never says anything about my hair--good or bad, until the day after it's cut. Then he says he liked it better the day before I went to the hairdresser. Every single time. I went to the hardware store with my husband and we split up to get our items. I found him finally, juggling all of the items he needed. Why didn't you get a basket? I asked. Because, he said, I couldn't find one with handles. You know how the handles disappear into the sides when you are not using them...well, you and I do but not my husband. So observant when he's interested but otherwise not so much. Hilarious. Viva la difference, non? My husband has been known to open a drawer, look directly at the desired object, and ask me where the hell I hid it. He used to ask me where his socks were, but I quit answering him years ago. They're in the same drawer he kept them in before we were married, after all. Atlanta, I detest going to the store with my husband. He will stand in front of a row of something for ages. Yes, he's the guy you always have to drive your cart around. When my hubby tells me he can't find something in the fridge, I say, "Are you sure you want me to come in there and look?" It's amazing how quickly he then finds what he needs! Also works well with kids, Ingrid. Rhys, that is hilarious. I could kind of get him not knowing who Jane Bennett is. It is like my not knowing who the President of the US was when I was 3 years old even though I had seen him on TV. Some things just do not register. Perhaps Jane Austen is not his cup of tea. Would he be more likely to know lines from Charles Dickens? I remember one of my male professors telling me that he would not read books about girls when he was a kid. 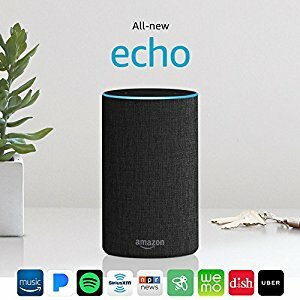 Sounds like Alexa is not something that is deaf friendly. I do like Siri because it is my barometer for whether or not I am speaking clearly. If a word I say types out on my smartphone, then I know that I said something perfectly. If Siri says "I do not understand", then I know it is back to the drawing board. I am reminded of my voice teacher's instructions. I remember meeting your husband at your book events and he was helpful setting up. It's funny about your daughters quoting a line from Pride and Prejudice. Diana, I think Alexa's voice recognition is very good. It would be interesting to know if she responds as well as Siri. Though the cochlear implants are great, I have this habit of looking at people when they are talking. Alexa is not a person with a face. I think it is because I had too many years of not hearing anything. Perhaps babies who get their cochlear implants and have the proper training with auditory training will fare better in the future than I do. I think I like "she's got to learn" even more than the tights! All great stories, really. My husband grew up the eldest of eight children, which made him almost compulsively tidy. And he really is pretty observant of the world around him, so I don't run into too many incidents of him cluelessly overlooking the obvious. But what I HAVE figured out in 30 years of marriage is that while he is tidy, he is not consistent about where things get put away. Just so they're put away. So sometimes after he does laundry, I find sweatshirts or summer tank tops or shorts on hangers, in the closet. But another time, I'll find not only those (appropriately) folded items stuffed in a drawer, but also dress tops that have always hung on a hanger since the day they entered the house. And in the kitchen, the cheese grater seems to particularly baffle him -- I either find it somewhere totally random or, more often, clean and sitting on the counter beside the coffeemaker. My husband can fix anything, do simple woodworking, is a whiz with garden tools. Ask him the most basic question about technhology and he is completely flummoxed. Thank you, Rhys, for bringing a smile to my face this morning. I have argued with GPS too -- very sound arguments I must say, just to get to hear "make a U-turn" or "recalculating" -- at least it doesn't snap back at you. Your husband sounds like a gem! My husband and I often make turns that force our GPS to say, "Recalculating". We laugh like we are crazy...of course it isn't funny when your REALLY need it and the road doesn't seem to fit the directions! Apparently we are all a bit aggravated by that female GPS voice...it is almost a common "inside joke" for Americans these days. We all say "Recalculating" in the same way as the GPS and then laugh! On the credit side of John's ledger, I must say he has lovely manners, is a delightful raconteur, and is the only man I have ever met who looks utterly natural in an ascot tie. Things my husband cannot do: Find his keys/wallet (almost daily); resist a sale on soap/toilet paper/olive oil/tuna (you get the idea! We are fully stocked for the end times); buy a greeting card; keep track of times/dates. This is a man who had secretaries from age 26 to age 64 -- great, wonderful, brilliant women. Now he has me, and we muddle along. We celebrate anniversary #49 in May. Congratulations, Denise. My father was like that. "It's never going to get any cheaper," he said when I asked him why, when he lived alone, he had five giant boxes of Tide in the upstairs closet. He needed a new bookshelf so made one out of boards and...cans of Hawaiian Punch - because they were on sale. He didn't even drink the stuff! So funny. I miss him. My husband grew up as a farm boy, went to college & many degrees later oversaw construction of our house including doing the wiring. But using a computer or his I-phone, I pull my hair out trying to steer him in the right direction. I taught middle school 30 years & I throw up my hands! My hubby, who can fix any computer, do plumbing, wiring, repair cars, and anything else mechanical, cannot find anything in the refrigerator. And while after twenty-three years, he's finally learned that he should fold the pile of sheets that have come out of the dryer, he still manages to ignore the pile of clean clothes that need to be folded and put away. So, who IS Jane Bennett? What's wrong with Cling Wrap to wrap that package? I guess I'm from the same planet he is, and that's why I don't have Alexa, or GPS (or turn off the damn sound). Valentine's Day is really just The Day Before Our Anniversary, so we celebrate it a little differently, with a nice dinner out and a bottle of wine. Julie and I used to exchange presents, flowers, and candy on Valentine's Day. Then we moved to cards only. A few years ago we discussed the price of cards, that what used to be 50 cents was now $4-5 or more, and what a waste of money and trees. We started saving the cards, and now we go to our trove and recycle. It's more fun and way cheaper. I haven't had a husband in decades, but I do have one perfect story. He was an engineer, which meant he THOUGHT he could repair anything. Not. One Thanksgiving when we had the immediate free world coming to dinner, he decided to work on the car. I ran to the store for something forgotten, and when I returned home, I found the carburetor boiling on the stove. On Thanksgiving. When I needed way more than four burners to start with. Un-fricking-forgiveable but oh what a good story it made. And this year Valentine's Day falls on Ash Wednesday. Julie is singing in the choir, so guess what we'll be doing. My husband has many talents, except . . . He loses mini-Swiss Army Knives constantly (just had to buy him 3 more). He can't remember the name of his cardiologist. He has never recorded a TV show on the DVR and wouldn't know how (barely knows how to play them). Mind you, this is an engineer who had no problem fixing the boys' Transformers after they were broken, so they would still transform. He gets so angry at inanimate objects that don't cooperate with him (printer, smart thermostat, even paper towels!) that I have to leave the room. 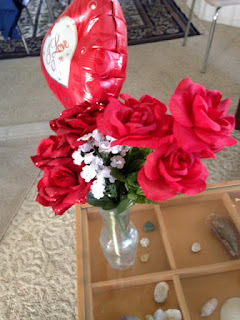 But he is a great gift giver--happy 43rd anniversary this month, honey! I'm not familiar with Jane Bennett either. Just saying. Men are definitely from another solar system. My husband gets what he wants from drawers or cabinets in the kitchen and leaves them open. He uses paper towels and leaves them on the counter instead of throwing them in the trash. He loses his keys. He loses his phone. He stands in front of the open fridge door and hollers at me that he can't find such and such. And he used to be an investigator? He's iffy on recording TV shows but can play with the GPS and the computer and the iPhone with the best of them. We've been in our current house for 11 years but he still doesn't know where things belong. Aaarrrggghhh! Oh Rhys, I am laughing so hard on the inside (still at work while reading this). My husband built our house (he's a retired contractor) and designed the kitchen and still cannot manage to empty the dishwasher without getting at least 4-5 things put away in the wrong place. He cannot watch tv unless I'm home because he's never bothered to learn how to use the remote. Two or three times a week, I come home to "I've done something bad to the computer again" but usually it's something simple that I can fix in a heartbeat. But I do love him. One year at a church Valentine banquet, he was the entertainment and he sang Gordon Lightfoot's version of "Beautiful" to me in front of the whole crowd. I still tear up thinking about it. I think I'll keep him. "She's got to learn!" Hahahaha! I am snorting on that one! However, I adore John. Meeting him at the Raleigh Bouchercon and his attendance at our little dinner was one of the highlights of my Bouchercons. He is the quintessential gentleman, and he was the life of his end of the table at that dinner. He took care of everyone. I guess if there were a fan club for your husband, Rhys, I would be its president. He is just precious, and his cluelessness about certain things just makes him that much more adorable. I can't believe that balloon has lasted ten years. There's a story in that somewhere, the balloon that wouldn't die. And, the GPS. I get really aggravated with my lady that controls my phone calls when I'm in my car. She obviously has some issues with the English language, as some of the choices she comes up with when I say to call someone are beyond crazy. Oh, and the voice that guides you when you're self-checking-out at the grocery store. I thought I might have to strangle the machine today. I have a problem with my husband for Valentines and other occasions. I doubt that anyone else sees it as a problem though. Before my husband left to live elsewhere for employment and I remained in our family home, he was terrible at remembering to get cards or gifts. Now, he is Mr. Efficient, Mr. Johnny-On-The-Spot. He was leaving for one of the trips with his company the first of February, but he mailed out my Valentine card before he left, and he even mailed the granddaughters cards to them. Arghhh! No, I am the master at that. He is a usurper. Hahaha! Actually, he's better than I am at it now, and I rather miss lording that over him. Sweet Pea: I can't find the rice, I don't think we have any. Me: It's on the middle shelf in the shelf-thingy that the toaster is on. SP: Isn't that where the napkins and dish towels are? Me: It's a big shelf. SP: I'm not sure. I don't see it. Me: In the glass jars. Use any of the rice. SP: Ohhh, in the GLASS jars. I was looking for a box. Folks, being food enthusiasts, we have at least 8 different kinds of rice. And since we inherited a bunch of kitchen stuff from a friend moving to Germany, all the rice is in glass jars. Visible. And there is probably 15 pounds of various rice on that shelf. Right next to the napkins. This post was my laugh of the day, Rhys! Thank you (and John) for that! Oh My gosh I'm so glad I'm not the only one with a husband like that! I nearly fell out of my chair laughing! I just discovered Your Molly Murphy series. Read #1 and bought 11 books in the series the same day....I never want her story to end! Can't wait to read them all! Now that I hear about your sweet John, who reminds me of my sweet, but of another planet John, I see why you're a kindred spirit! So happy to have discovered your books right when I'm retiring and will have time to read! Thanks for a great read!